New York always buzzes with activity but Thanksgiving breathes a special kind of energy and optimism into the city. Get up early on Thursday to get a space along the Macy’s Thanksgiving parade route. The largest parade in the world, it is an extravaganza of magnificent balloons, floats and performances. The parade starts at 9am, so wrap up warm, grab a hot chocolate and enjoy the spectacle. You will also be in the city on Black Friday so get ready to bag a bargain in the shops and department stores. Shop til you drop in Bloomingdale’s and Macy’s. Or perhaps head to Central Park for an autumnal stroll away from the hustle and bustle. Be sure to take in the famous sights of New York while you’re in town. The city tempts you to take a bite of its vibrant, cosmopolitan atmosphere and experience its overpowering energy and diverse cultures. This cultural hub is home to a host of world class museums, such as the Museum of Modern Art (MOMA) and the Guggenheim. Furthermore the buildings and skyline are instantly recognisable and undeniably iconic.No visit to NYC is complete without a group visit to the Empire State Building – or perhaps view the city from Rockefeller Center. Admire the skyline from the water as you sail across to the Statue of Liberty and Ellis Island. 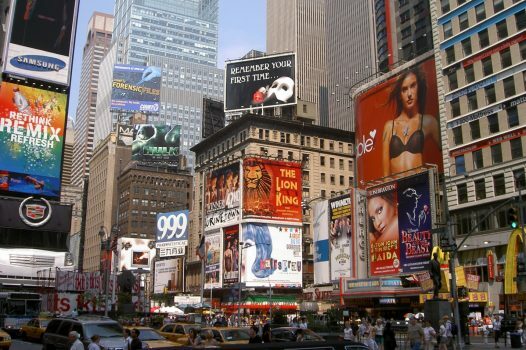 Furthermore, visit Times Square, at the heart of the city to soak up the bustling atmosphere. Thanksgiving is on Thursday 28th November 2019. Fly directly to New York, JFK or Newark airport, where you’ll be met and transferred to your hotel. Get up early to save your spot along the parade route. Wrap up warm and enjoy a hot chocolate while the incredible parade of bands, balloons and floats passes by. The atmosphere is electric! Take a stroll through the city and perhaps enjoy some sightseeing. Later, why not enjoy a delicious Thanksgiving dinner with all the trimmings? This is sure to be a wonderful experience with your group. Shop til you drop and make the most of the sales. New York is fantastic for shopping at any time of year, but Black Friday is the perfect chance to bag a deal! Then, take a break from the crowds with a stroll in Central Park. 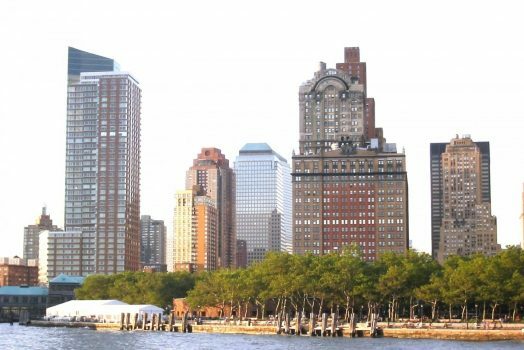 Enjoy 843 acres of open space in the middle of Manhattan – ride the famous carousel or perhaps have a row around the lake. Today, why not take the ferry from Clinton Castle to Liberty Island? Enjoy an audio tour around the Statue of Liberty before sailing to Ellis Island for a visit to the Immigration Museum, the first port of call for new settlers and visitors to the US. After the boat docks back on Manhattan, perhaps take the opportunity to walk across Brooklyn Bridge and see the city from a different perspective. You may have time to visit one of New York’s world class museums such as the iconic Guggenheim Museum designed by Frank Lloyd Wright or the Museum of Modern Art (MOMA). The group will be transferred to the airport for the return flight home. The best time to visit New York City is from April to June and September to early November when the weather is mild and pleasant but the tourist crowds are not overwhelming. The cheapest time to visit the city is on weekends from mid-January to the end of February. British Citizens require prior authorisation to enter the United States using a British Passport. You will need either a VISA, which you can apply for at the US Embassy, or an Electronic System for Travel Authorisation, also known as the Visa Waiver Programme. This allows travel to the US for up to 90 days for tourism, business and transit to another country, purposes. Most people will qualify to enter the US using the VWP if they are British, hold a British passport, haven’t been arrested for certain crimes, aren’t a dual national of Iran, Iraq, Sudan or Syria, haven’t travelled to Libya, Iraq, Somalia, Sudan, Syria or Yemen since March 2011, and can show you have the funds available to support yourself during your stay. See the Macy’s Thanksgiving Parade!